If we take a closer look at the traditional symbols belonging to each of these metals, we will behold a revelation from them. The seven traditional metals laid out and placed in a certain order, give us a visual suggestion of the alchemical process. 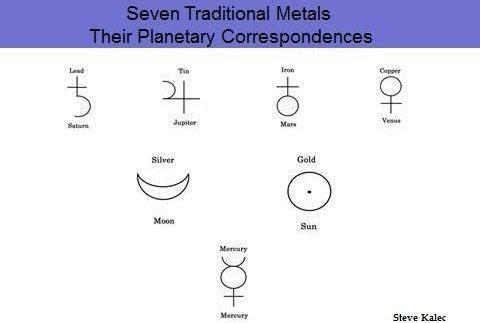 The seven metals are, Mercury, Lead, Tin, Silver, Iron, Copper and Gold. 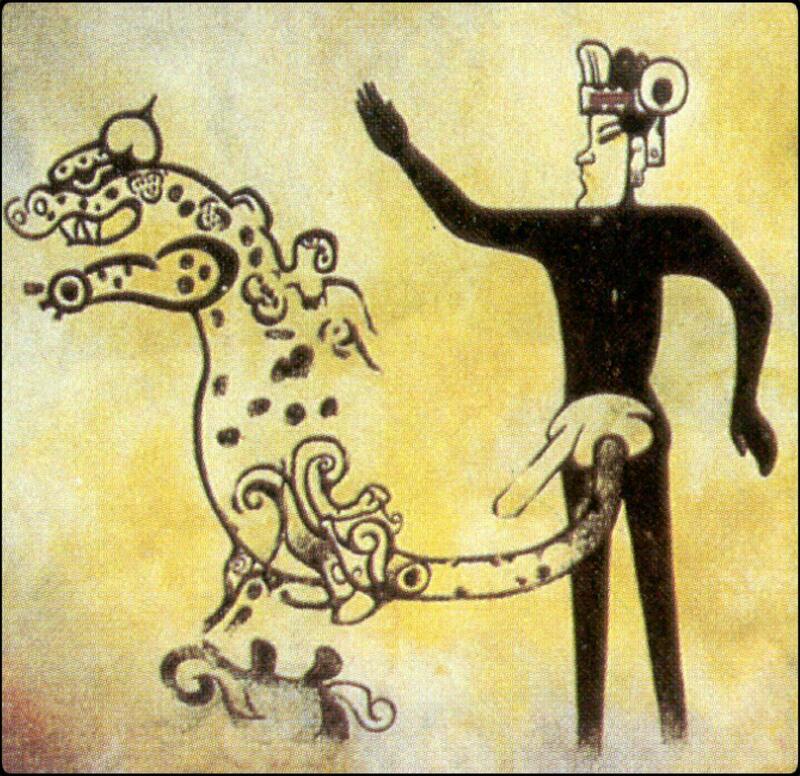 If we look at our picture we can see that the symbols of the metals are made up of three ideographic elements. The (Cross), is the alchemical symbol of salt as matter, which symbolizes our lower, earthly, instinctual, and animalistic natures, which keep us materialistic and earthbound. 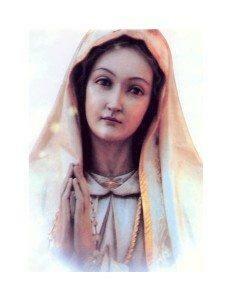 When the cross dominates, the soul is buried by the earth. The next ideograph is the (Crescent), the alchemical symbol of the moon, which symbolizes the achievement of the first order of the transmutation from lead to silver. 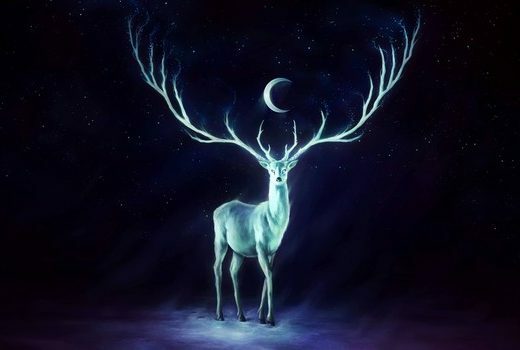 The moon is the wonderful and perfected reflective faculty and mechanism for the higher life. It is the level of the realization of subjective consciousness, through which consciousness perceives itself as self realization. The third ideograph is the (Circle), as the alchemical symbol of wholeness, which symbolizes man at his highest order of being. It also represents the spiritual life and attunement with that which is the universal. It is the fire of the solar force as the expansive and radiating centre of divinity and spirituality. Let us now look at the metals. These three aspects of man, the cross, the crescent and the circle are represented in the symbol of the metal Mercury as can be seen in our picture. Mercury is like quicksilver; it is solid and liquid at the same time.It can take on the shape and form of anything it is placed in. When heated is very volatile, it expands rapidly and turns to vapors. It can be frozen and made into a hard solid. Because of its ability to mix with other metals and form amalgams, it is used as a purifying agent. It is an ideal symbol for consciousness in that it can be anything it wants to be. Within the symbol for Mercury, we see the moon and the sun dominating the earth. 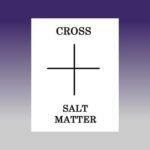 This symbol reveals the three levels of consciousness, the fixed in matter as the salt (the Cross). Within this aspect we find the animalistic natures and the earthly elements. 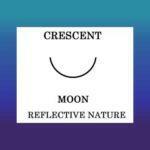 Next, we see the reflective self – consciousness, the (Crescent) symbolized by the moon as a reflecting faculty. 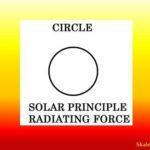 Finally, we see the radiating spiritual divine centre the (Circle). Light and warmth is also synonymous with the Sulfur principle. 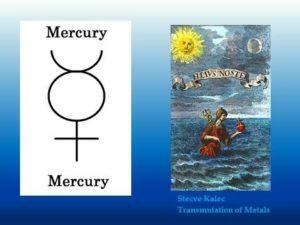 Mercury is the allegorical symbol of consciousness in its raw state. It is the face of the still Waters of the Great Sea over which the Spirit flew in the description of creation in Genesis. Mercury is the prima materia as the first matter out of which we are to make the Philosopher’s Stone. We can examine how the transformation of our consciousness is depicted through the transformation of these metals. Next Post What is the symbolic meaning of The Sacred Ashtamangala?